Nations Home Remodelers, Inc. is the top choice for home improvement, remodeling, renovations, restoration, roofing, siding, windows, gutters, downspouts, decks, and kitchen/bathroom remodeling in Maryland. We are locally owned, operated, and BBB A+ rated with over 20 years in business. We are Maryland's leading hail damage insurance restoration contractor. Damage as a result of Hail. Read this before you choose a Contractor! As a homeowner, you have likely been harassed by numerous Contractors after the major Hail Storm in June. Your first inclination when faced with all these people knocking on your door, or calling you at home, is to sign up with the company offering the sweetest deal. Waiving deductibles, free shingle and siding upgrades. But these deals may be too good to be true. When choosing a contractor, make sure you using a reputable contractor. In the state of Maryland the homeowner is required to pay their deductible by law. Offer to waive that can get the homeowner and the contractor in trouble. Maryland also requires each Contractor to be licensed with an MHIC number, as well as each individual salesperson must have a separate license. This MHIC number must be posted on all signs, cards, and flyers. And history means a lot. Choosing a contractor that has been in business for a number of means that they will likely be there to back up there warranty. You owe it to your home and yourself to have a no cost, no obligation storm damage inspection by a reputable contractor. Disclaimer: The cartoons and the joke below are intended for entertainment purposes only and do not in any way represent our opinion of the insurance industry. Nations Home Remodelers, Inc. has an outstanding working relationship with the vast majority of insurance adjusters/companies that we encounter in the course of our business. A client calls up his insurance agent and tells him he needs to file a claim. The agent says "Tell me what happened?" The client tells him and the agent says "I´m sorry but that´s not covered." The client says "Well, let me explain better what happened." The agent says "I´m sorry but that´s not covered either." The client says " I´ll tell you what, you tell me what´s covered and I´ll tell you how it happened!" The real truth about any damage to your home is that your insurance company does not want you to file a claim, they would rather the damage never occurred. 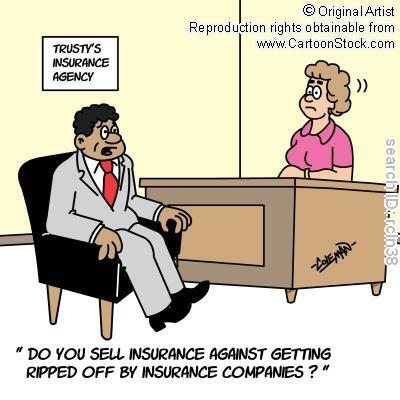 Think about it - insurance companies make money by collecting premiums and hoping that you never have a need to file a claim. Homeowners often fear a rate increase if they do file a claim. In reality your rates will go up even if you don't file a claim as your neighbors will be filing claims for similar damage. So you can either face a rate increase and not get any benefit from it or you can file a claim when you have true damage and get the benefit of the insurance that you have been paying for. Our insurance recovery experts will verify that you have damage before you file a claim. We will never advise you to file a claim where damage does not exist. You should not file a claim without having your damage and its source verified by an expert. The insurance adjuster follows strict guidelines established by your insurance company that minimize the companies exposure to false or fraudulent claims. In many cases valid claims can be denied if anything in the claim appears to fall outside of these established guidelines. This is why being represented by an expert of your own is so important. Most people in Maryland don't even realize they have had hail damage to their roof , siding , or fascia materials. The impact of hail damage can loosen, fracture or remove granules from your asphalt shingles, Hail can leave tiny to large pits in your siding and fascia as well. The granules protect the asphalt from sunlight and Ultra Violet Light (U.V.). The roofing asphalt will deteriorate very quickly once it has had hail impact and is exposed to the sun. This is the reason hail damaged roofing will prematurely fail. Hail damaged roofs may or may not show up immediately as visual damage to the inexperienced observer. In some cases, the effects may not be visible or apparent for about a year or two. The effects of a hailstorm void the shingle manufacturer's warranty, as manufacturers will not warrant against "Acts of God" such as hailstorms. Nations Home Remodelers, Inc. is your Maryland full service insurance recovery contractor. We perform all types of remodeling, renovation, and home improvements. 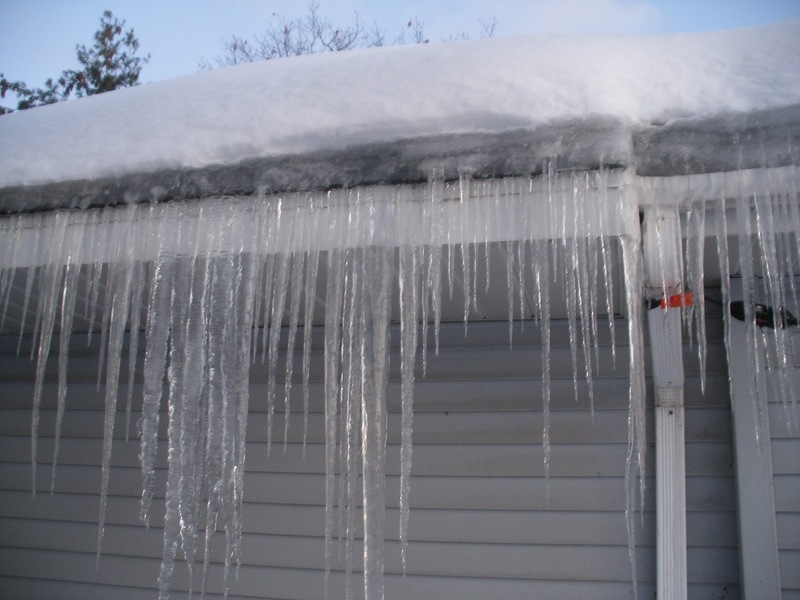 Nations Home Remodelers, Inc. works with your insurance company to make sure that you receive the repairs to your roofing, siding, gutters, and downspouts that you are entitled to in the event of a hail storm or other severe weather event. LISTED BELOW ARE THE THREE BIGGEST PROBLEMS MARYLAND HOMEOWNERS HAVE WHEN REPLACING THEIR ROOF, SIDING, OR FASCIA DUE TO HAIL DAMAGE. NATIONS HOME REMODELERS HAS A SOLUTION TO THEM ALL! PROBLEM #1: UNDERSTANDING YOUR INSURANCE ADJUSTMENT. Did you ever become really confused reading an insurance adjustment? Most Maryland insurance companies will give you an adjustment form that only the most advanced rocket scientists can decipher, they give you a number of squares that have been hail damaged, depreciation, allowances, etc. and you have to determine the actual amount of money you have to replace your roof. Good luck doing this without the help of an expert. SOLUTION: MAKE SURE YOU HAVE A FAIR ADJUSTMENT. Nations Home Remodelers Roofing & Siding consultants are qualified to estimate the extent of the hail damage to your Roofing, Siding, and Fascia. The insurance company is not infallible. Nations Home Remodelers will examine your Maryland insurance adjustment and explain in plain English exactly what you are allowed for your Hail Damaged roof , siding , and fascia. If there is a discrepancy with the adjustment, our consultants are qualified to work with the Maryland insurance adjuster to get you the full replacement cost for your Hail Damaged roofing , siding , and fascia. SOLUTION: NATIONS HOME REMODELERS IS A WELL QUALIFIED AND REPUTABLE MARYLAND ROOFING & SIDING CONTRACTOR SPECIALIZING IN HAIL DAMAGE INSURANCE RESTORATION WORK.Your roof will be started within 48 hours of material delivery. We will have a full crew on your job from start to finish most residential roofs take 1 to 2 days. Most siding jobs take 2-3 days. Our crew will be on site with trucks to remove debris and clean-up will be to your satisfaction. You can reach our office 24 hours a day. PROBLEM #3: PROBLEMS WITH THE WARRANTY. Have you ever called for warranty work only to find that your roofing or siding contractor has disconnected his phone and moved from his temporary office? Have you ever needed legitimate warranty work on your roofing or siding and your contractor failed to honor your warranty? SOLUTION: STABILITY AND SERVICE. Nations Home Remodelers has been locally owned and operated since 1991. Nations Home Remodelers has also maintained good standing with The Better Business Bureau as a BBB accredited business. In most cases hail damage claims serviced by Nations Home Remodelers result in the complete replacement of your homes roofing and/or siding. We work with your insurance carrier to make this happen. 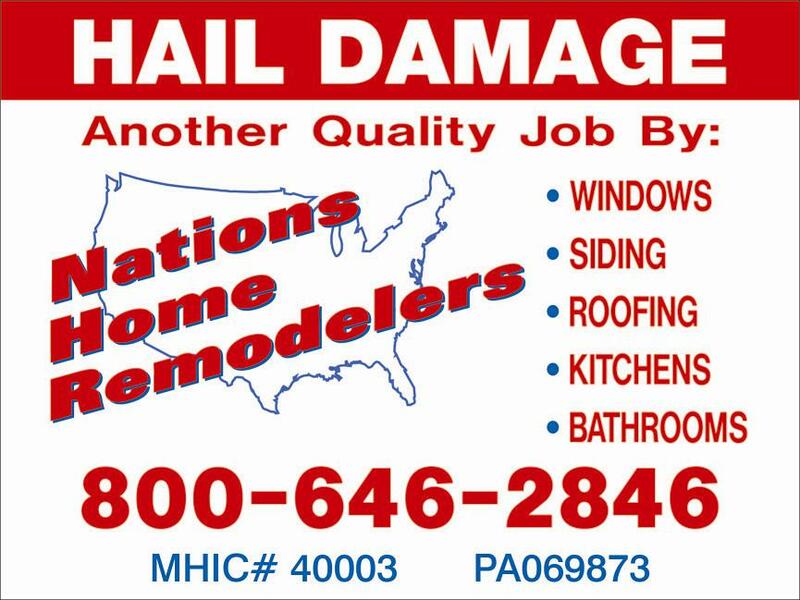 Call us now to schedule your no obligation hail damage inspection. Storm Date – June 23, 2015: Cockeysville, Timonium, and Hunt Valley. We have worked with almost every insurance provider, large and small. 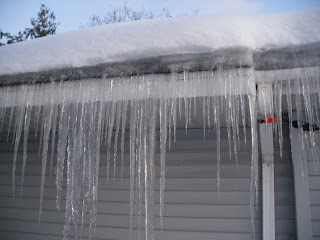 Roof Leaks may be a result of Wind or Hail Damage. Read this before you spend a dime on repairs! As a Maryland homeowner your first inclination when faced with a roof leak may be to call a contractor and pay for repairs but you have a better option. You owe it to your home and yourself to have a no cost, no obligation storm damage inspection. Today we received some exceptional feedback from a homeowner on one of our recently completed hail damage restoration projects. The homeowner asked that we share his experience with other potential customers. Please see below the unedited note from Thomas D. of Laurel, Maryland. As you are aware my home and my new vehicle were damaged in a hail storm that struck Laurel, Maryland on August 18, 2011. At the time of the storm I had just made the first payment on my new truck. I was less than happy that the truck suffered damage so soon after the purchase. I immediately filed an auto insurance claim with Nationwide and got the hail damage repaired on my truck. I didn't move so quickly on the house because I didn't know what to look for and I didn't see any damage. In October after seeing a yard sign nearby I reached out to your company about having my house inspected for possible hail damage. My initial meeting was with Ray Whitten, Jr. your insurance recovery specialist. Ray quickly pointed out hail damage and explained to me the entire insurance restoration process. I thanked Ray for his time and decided I should spend some time researching your company before committing to anything. In speaking to neighbors and the BBB I found that your company has an excellent reputation and an A+ rating with the BBB. I didn't contact Nationwide until late December so any delays in getting my home restored were clearly a result of my own procrastination. This was the first homeowners insurance claim I have ever filed and Ray's guidance was very helpful. As soon as I filed my claim I notified Ray so that I could utilize Nations Home Remodelers, Inc. to restore my home. Ray and Chris came by my home within days to document the hail damage and have some papers signed. On January 10, 2012 Nationwide sent an insurance adjuster to my home to inspect and assess my hail damage. Ray and Chris assisted the adjuster during this inspection and all went well. Within days I had a report and a check from the insurance company to get the work started. Your office reviewed the report and found out that numerous items totaling several thousand dollars were not included on the report. I never would have caught these items without your company's help. A supplement went out from your office to Nationwide almost immediately requesting coverage for the items missing from the initial report. A few phone calls and emails later another larger check and new report were issued by Nationwide. Within days my new roof went on and "WOW" what a difference, it looks great. The following week my hail damaged garage door was replaced with french doors and they too look great. I had long intended to turn the garage into a gym and now it is happening thanks to your efforts. The next week brought out the siding crew who worked in very cold weather and through the weekend to complete the exterior makeover of my home. I should also mention that you personally stopped by my project several times as the work was in progress to make sure that all went well. I am grateful for your extreme attention to detail. To say I am thrilled with the work is an understatement. My house went from plain and drab to the nicest looking one in the neighborhood in a matter of weeks. I am happy to say that I have decided to move forward with your suggestion to use Nations Home Remodelers to replace the windows on my home which will be taking place in the next several weeks. I will not hesitate to recommend Nations Home Remodelers, Inc. to anyone in need of a contractor. You and your team have done an exceptional job and for that I am very thankful. Please share my comments with anyone who may benefit from hearing about my great experience with your company. 2011 - One hail of a year in Maryland! We have worked with every major insurance provider including but not limited to: GMAC, Cumberland Insurance, Frederick Fire and Casualty, Bank of America, AAA, AARP, Acuity, ALFA Insurance, AIG Insurance, Allmerica, Allied Mutual Insurance, Allstate Insurance, Amco Insurance, American Casualty, American Economy Insurance, American Employers Insurance, American Family Mutual Insurance, American Home Assurance, American International Insurance, ANPAC, Anthem Casualty Insurance, Arbella Mutual Insurance, Arkwright Mutual Insurance, Atlanta Casualty, Atlanta Mutual Insurance, Atlantic Mutual, AutoClub of Southern California Insurance Exchange, Auto-Owners Insurance, Berkshire Mutual Insurance, Birmingham Fire Insurance of PA, Buckeye Union Insurance, California State Auto Assn Insurance, Camden Fire Insurance, Chubb, Cigna Property & Casualty, Cincinnati Insurance, Citizens Insurance of America, CAN, Colonial Penn Insurance, Colorado Casualty, Commerce & Industry Insurance, Commerce Insurance, Commerice Union Insurance, Continental Casualty, Continental Insurance, Coregis Insurance, Country Companies Insurance, CUMIS Insurance Society Inc., Dairyland Insurance, Deerbrook Insurance, Encompass, Explorer Insurance, Farmers Insurance Group, Fidelity National, Fidelity & Deposit Company, Fire Insurance Exchange, Fireman's Fund, Firemens Insurance Company, Foremost Insurance, Fortune Insurance, GEICO Indemnity, General Accident Insurance, General Insurance Company of America, Georgia Farm Bureau Mutual Insurance, Government Employees Insurance, Grange Mutual Casualty, Great American Insurance, Great West Casualty, Hanover Insurance, Harleysville Insurance, Hartford Accident & Indemnity, Hartford Casualty Insurance, Hardford Fire Insurance, Homesite Insurance, Horace Mann Insurance, IDS, Infinity Southern Insurance, Indiana Farm Bureau Insurance, Insurance Company of North America, Insurance Company of the State of PA, Integon National Insurance, Interinsurance Exchange Auto Club South, John Deer Insurance, Kansas Farm Bureau, Kemper Auto and Home Insurance, Kemper Insurance, Kentucky Farm Bureau Mutual Insurance, Lexington Insurance, Liberty Insurance, Liberty Mutual Fire Insurance, Liberty Mutual Insurance, Lumbermens Mutual Casualty, Medical Liability Insurance, Metlife, Metropolitan Property & Casualty, Mid-Century Insurance, Motors Insurance, National Fire Insurance of Hartford, National Indemnity, National Union Fire Insurance, Nationwide Mutual Insurance, New Hampshire Insurance, New Jersey Manufacturers Insurance, New York Casualty Insurance, North River Insurance, Northern Assurance Company of America, Occidental Fire & Casualty Insurance, Ohio Casualty Insurance, Omni Insurance, OneBeacon, Pacific Employers Insurance, Phoenix Insurance, Preferred Risk Mutual Insurance, Progressive Casualty Insurance, Progressive Northern Insurance, Progressive Northwestern Insurance, Progressive Specialty Insurance, Protection Mutual Insurance, Reliance Insurance, Republic Underwriters Insurance, Rockingham Mutual Insurance, Royal Insurance Company of North America, Safeco Insurance Company of America, Scottsdale Insurance, Selective Insurance Company of America, Sentry Insurance & Mutual, Shelter Insurance, Southern United Fire Insurance, Standard Fire Insurance, State Farm Fire & Casualty, State Farm Indemnity, State Farm Lloyds, State Farm Mutual Automotive Insurance, Travelers, Trinity Universal Insurance, Twentieth Century Insurance, United Property & Casualty, United Services Automobile Association, United States Fire Insurance, USAA Casualty Insurance, Utica Mutual Insurance, Vanguard Fire and Casualty, Vesta Fire Insurance, Western Mutual, Westfield Insurance, Zenith Insurance, Zurich, and many more. Visit us at http://www.nationshomeremodelers.net for more information. Nations Home Remodelers, Inc. Beltsville, MD 2011. Picture Window theme. Powered by Blogger.